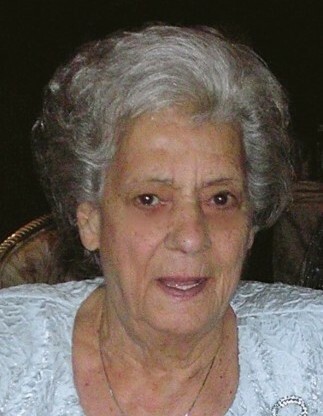 Angelina “Angie” Tamburino D’Alessandro, passed away peacefully at home at the age of 98 on March 24, 2019 surrounded by her loving family. She was born and resided in Newark, NJ before moving to Fords, NJ, 2 years ago. Angie was predeceased by her husband Joseph D’Alessandro, parents Dominick and Margaret Tamburino, son Anthony D’Alessandro, brothers Pat, Sonny, Joey and Dominick, sisters Theresa, Mary and Minnie. Surviving are her son Carmen D’Alessandro and brother George Tamburino. She was also a grandmother, great grandmother and great great grandmother. Visitation Thursday March 28, 2019 4:00pm to 8:00 pm at the Gosselin Funeral Home 660 New Dover Road Edison, NJ Blessing Friday March 29, 2019 9:00am at the funeral home followed by entombment at Gates of Heaven Cemetery, East Hanover, NJ.